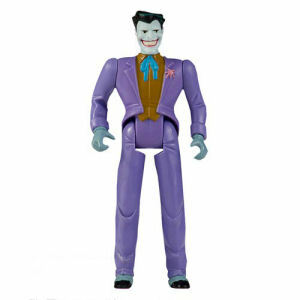 We have Just Sold out of Batman The Animated Series Joker Jumbo Action Figure. This Item is unavailable at present. From the Batman The Animated Series collection by Gentle Giant. Batman The Animated Series Joker Jumbo Action Figure. Digitally scanned from the original 1993 Kenner 5 inch action figure and reproduced in 12 inch scale. No detail has been overlooked for this jumbo-sized Joker action figure. Gentle Giant Batman Action Figures shipping from Canada. No Surprise Border fees or Customs!